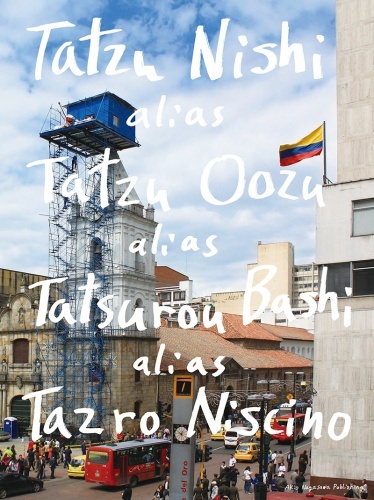 Tatzu Nishi "Tatzu Nishi alias Tatzu Oozu alias Tatsurou Bashi alias Tazro Niscino"
Tatzu Nishi is internationally renowned for his large-scale public projects. 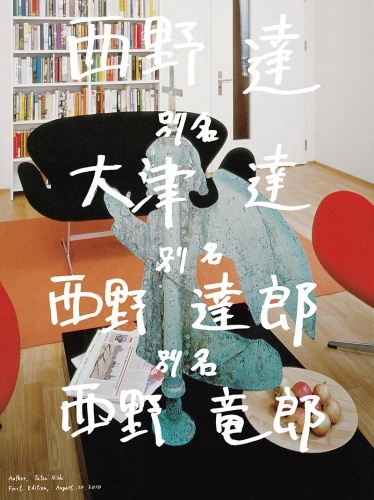 An artwork collection book that covers his overseas and domestic works spanning 14 years from 1997 was published by Akio Nagasawa Publishing to coincide with his participation in the Aichi Triennale 2010. For this book, 34 projects were carefully selected out of projects that have not been widely viewed due to their limited time periods. Also, powerful documentary photographs are used to show the trajectory of Nishi Tatzu’s activities as an artist.